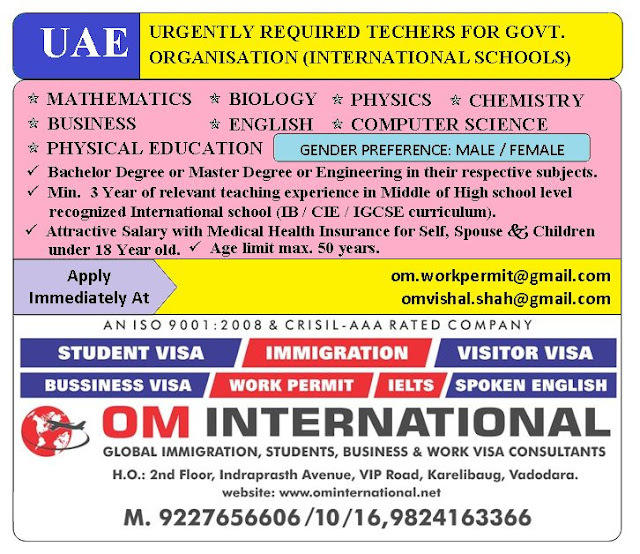 Welcome to Om International - Simplifying Work Permit VISA Process...!!! Om International is the India’s leading Immigration. Om International officials are happy to help our registered applicants with International Employment Solutions and using immigration law in ways that benefit our clients, we are able to help them to study or work abroad and work towards their unique goals, on their own terms. Om International was founded in 2000 to help people find ways to secure their temporary working visas in the country of their choice without facing restrictions in making their dreams come true. You are looking for support in planning and organization of your Work Permit? We inform you about the possibilities and offer support in your suitable Training / Employment search. Om International offers a complete immigration solution, but we do much more than simply arrange Visas.